Making a dairy-free sundae can be as simple or as complex as you want it to be; you can add as many or as little toppings and sauces as you like, and you can even use more than one dairy-free ice cream. 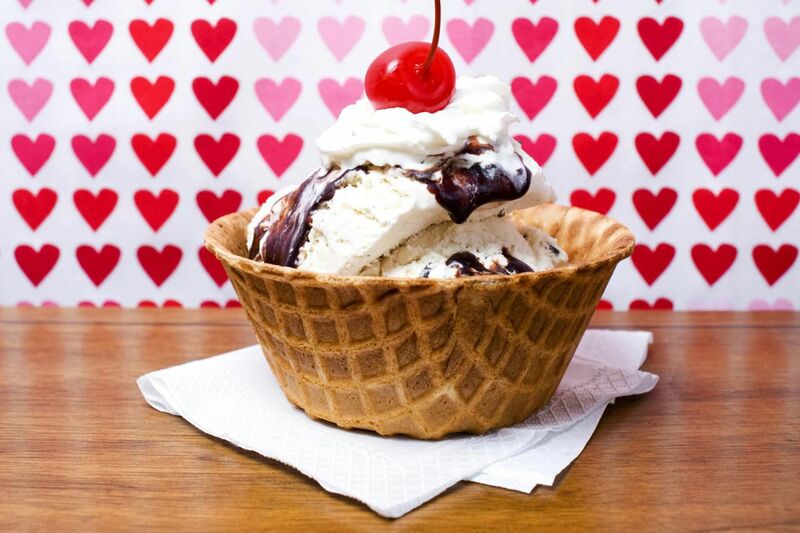 Before you make a dairy-free sundae, you have to decide what kind of sundae you want to make! Place a scoop of the Dairy-Free Ice Cream in the bottom of a serving glass. Drizzle a generous amount of Dairy-Free Chocolate Syrup on top of the ice cream. Dollop a scoop of Vegan Whipped Cream on top of the chocolate sauce, and top the sundae off with a maraschino cherry. Place the banana halves in a sundae dish and top with the scoops of ice cream. Top with the Dairy-Free Chocolate Syrup, then the Vegan Whipped Cream and maraschino cherries. Begin by preparing the Dairy-Free Brownie recipe of your choice. Once cooled, place a large brownie on a dessert plate. Top with the ice cream, warmed chocolate syrup, peanuts, vegan whipped cream, and the cherry. Place a scoop of the vanilla Dairy-Free Ice Cream in the bottom of a serving glass. Drizzle a generous amount of Dairy-Free Caramel Sauce on top of the ice cream. Dollop a scoop of Vegan Whipped Cream on top of the caramel sauce, and then top the sundae off with a maraschino cherry. Place 1 or 2 scoops of the vanilla Dairy-Free Ice Cream in the bottom of a serving dish. Top with the warmed syrups and pecans.